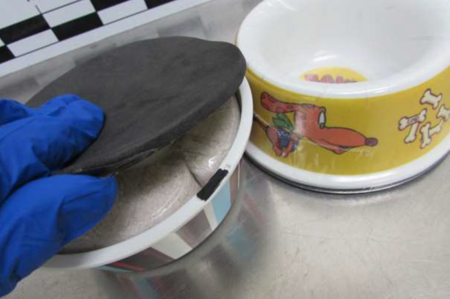 Australian Border Force (ABF) investigators have arrested and charged a 20-year-old man with importing approximately 8.4 kilograms of ephedrine in dog bowls. He appeared before the Waverley Local Court on the 18th May 2016. On 12 May 2016, ABF officers targeted a parcel from China addressed to a residence in Strathfield, NSW. 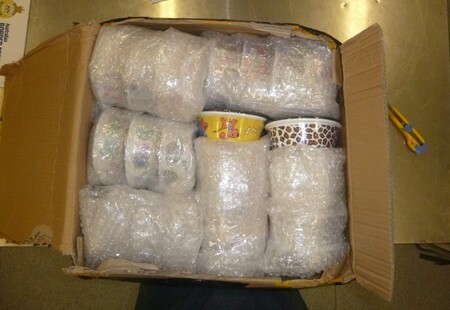 The officers examined the parcel of 42 dog bowls which were found to have concealments of powder in the bottom of each bowl. Initial testing of the substance was positive for ephedrine. Following further investigation and warrant activity, the man was charged with intentionally importing prohibited tier 1 goods, contrary to Section 233BAA(4) of the Customs Act 1901, which carries a maximum penalty of five years imprisonment and or a fine not exceeding $180,000 or both. ABF Commander Immigration and Customs Enforcement, Anthony Seebach, said the ABF is expert in targeting, identifying and detecting anomalies in air cargo no matter how they are concealed. “This detection and subsequent investigation by the ABF demonstrates our commitment to protecting our communities from illegal imports,” Commander Seebach said. The man faced court on the 18th May 2016 for a bail hearing. He did not apply for bail and will appear again on 13 July at Central Local Court. Further charges are also possible.